Which are the most successful pirates in history? The life of pirates is idolatrized these days – they got to sail the seas, say “argh” a lot, they wear eye patches and have glamorous lives seeking adventure. In recent years, it has been the fault of movies such as “Pirates of the Caribbean” for this and Johnny Depp’s allure, but reality is far from what this type of movies portray it. The likes of “Black Sails” actually put the life of the pirates in a more accurate light, although there’s still plenty of Hollywood in that series too. The era of the high seas piracy was ruthless, and many buccaneers lost their lives during the many plunders they took part in. It was part of the job description, of course, but the number of ocean graves was still extremely high. 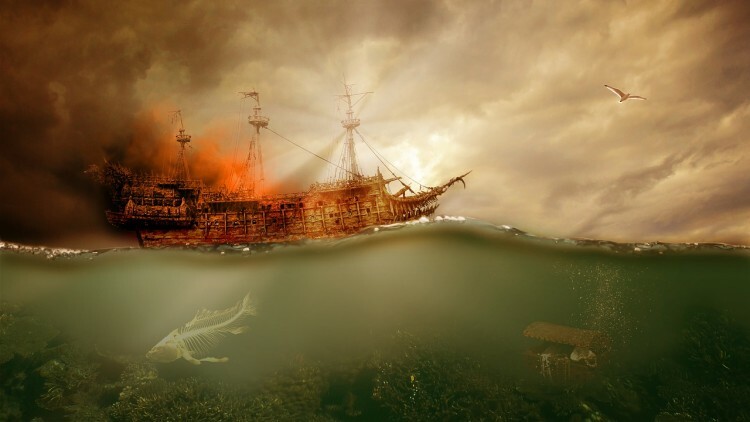 Whether it was the Caribbean seas or the Chinese ones, pirates made sure to go after everything they could, be it gold, silver or various goods like tea and jewels. If you are more interest in the modern type of criminal, don’t miss our article on countries with most hackers and cyber criminals. Back on the main topic – in order to determine which of the world’s many pirates were the most successful we took a look around the Internet, checking out multiple lists, on sites such as The Way of the Pirates and History Lists to name a few. Each pirate got a mention for each site they were on, with a maximum of 7. The lists we checked out were related to success, because being successful doesn’t just mean getting the biggest plunders, but also being feared and famous. Then, we checked out one of Forbes’ lists where the wealth of the pirates was translated to into today’s money, with as much accuracy as possible, given the fact that these buccaneers were alive between 1500 and 1700. Depending on how much wealth they gathered, the pirates then received extra points, leading to our final list of most successful pirates in history. It should also be mentioned that in the case of a tie, the pirate with the larger wealth got the better spot, since, after all, the financial success of their pirating ways does tell a lot more than how many times they were mentioned on various lists. Without further ado, here are the 10 most successful pirates in history.